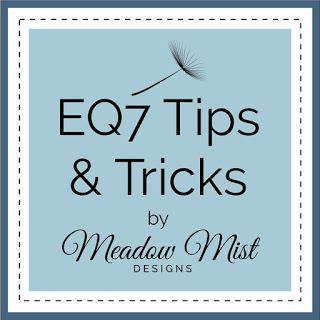 I've photographed my own fabric and imported it into a project and I've also downloaded the EQ7 free fabric files but it never occurred to me Moda or Riley Blake would have any free fabric downloads. Thanks for the tip! 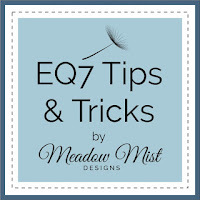 I'm so excited about this EQ7 tutorial! Thank you for taking the time to help! I better go find some fabric...thank you so much Cheryl! !